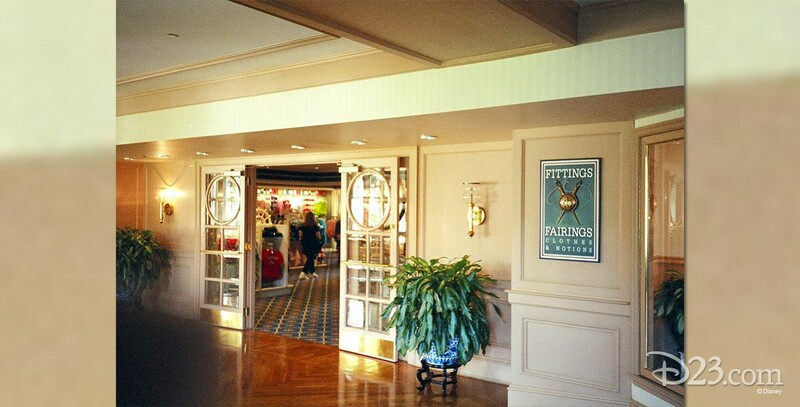 Fittings & Fairings, Clothes & Notions Shop in the Yacht Club Resort at Walt Disney World; opened on November 5, 1990. Merchandise is themed to the nautical feel of the hotel. It closed April 16, 2017, to become Market at Ale & Compass.